What Is A Minneapolis Loft? With spring finals wrapping up at the University of Minnesota, a major campus thoroughfare is closing next week for Central Corridor light-rail construction, Minneapolis officials said. What Is Motivating Downtown Buyers? As the momentum of the downtown market starts to pick up spring of 2011 we thought it was pertinent to check out what some members of the investment community are saying. Where is Sexton Lofts located? Minneapolis Lofts for Sale are gaining steam in the market. Let’s be honest–Minneapolis Lofts in 2013 are selling at fast paced speeds and often the listings that are priced to sell and move in ready are the first to go. More often than not it is these properties which are garnering multiple offer situations, whether it’s the time of year, a very desirable home or an appealing listing price. We are seeing an interesting phenomena begin to emerge in the market: the highest purchase price doesn’t necessarily translate into an accepted offer–Sellers of Minneapolis Lofts are looking for short closing timelines, non-contingent offers, zero financing contingencies and short inspection timelines. We have assembled a handful of helpful tips to make your next offer float to the top of the Sellers list! The winning buyer in a Minneapolis Lofts multiple offer situation is often the one who makes the highest offer, pure and simple. Learn as much as possible about local market values. Look at comparable properties. Ask your REALTOR® to prepare a comparative market analysis (CMA) of the property that will tell you recent selling prices of comparable properties. When market values are rising, there may be a bit of guesswork involved in pricing. You may need to pay more than yesterday’s comparable sales in order to be the successful bidder. Home buyers who know they have competition will often have properties inspected BEFORE an offer on a Minneapolis Lofts is made. Ask your REALTOR® to find out if other buyers are having condo inspections done. If so, you may want to ask the sellers for permission to complete a home inspection, and any other inspections you believe necessary. This will enable you to make an offer that doesn’t include an inspection contingency. Putting as much of your down payment into your earnest money deposit makes a very strong impression when you write the offer. The “earnest money” is part of your down payment which you simply put down a month earlier. This lets the seller know of your intentions because if the seller accepts your offer and you break the contract, you would lose your earnest money deposit. A clean offer means that it has few contingencies, which means certain conditions that must be satisfied in order for the sale to go through. Typical home purchase contract contingencies include financing, inspections and the sale of another home. Put yourself ahead of the crowd by limiting as many conditions as possible before presenting your offer, however, do not forego important – and expensive – things that need to be fixed, e.g. a cracked foundation or leaking roof. If you can put 10 to 20 percent down, the sellers will be more impressed with that amount than a five percent down payment. You may be able to change your financing terms later but what matters is the money is at the table at closing. If you are working with a good Minneapolis Realtor who knows the loft and condo market take note. Your real estate agent has the ability and knowledge to influence and impact your decisions throughout the offer process and presenting the offer itself. Trust your Realtor’s advice and guidance. We do this for a living and are working for your benefit. Find out as much as you can about the Minneapolis condo and loft sellers and their situation. Writing a letter about why you would love to live in the property can go a long, Long, LONG way! Some sellers are influenced by emotional appeal, particularly if they’re looking at multiple, similar offers. Find out when the seller wants to close, and offer post-occupancy agreements in case the sellers need to stay while they find a new place to live. These steps will help you stand out from the rest. These are a few ways to try to win a multiple bidding situation on a Minneapolis Lofts. 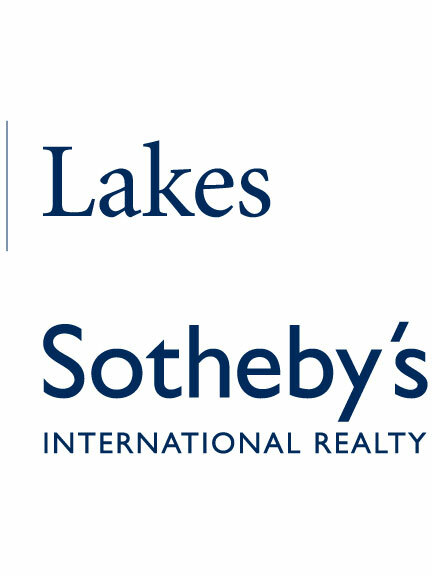 If you are in need of a seasoned Realtor to guide you buying or selling reach out to Ben Ganje at Lakes Sothebys International Realty at 612.460.5638 or ben@yoururbanlife.com. Choosing a Minneapolis Loft vs Condo? Buying a Minneapolis Loft or Condo? Lofts can come in an array of sizes and layouts. True lofts are going to be rehabbed buildings of the early 1900s transformed into urban residential living spaces. Over the past decade plenty of new buildings designed to look like the older loft buildings have come into the market most notably within the North Loop real estate market. For the most part, what defines lofts are: larger windows, exposed ductwork, pillars, concrete floors, and an open layout. Buildings that feature lofts are going to be Bookmen Lofts, Rock Island Lofts, Sexton Lofts and Bridgewater Lofts. Not everyone looking to purchase a Minneapolis condo or loft is inclined to this type of feel-some Buyer clients are looking for something much more finished and refined. This type of buyer typically defaults to a condo versus a loft. Minneapolis condos typically feature finished ceilings with soffits to conceal all of the ducts, plumbing and wiring in the unit. The layout of a condo typically has clearly defined spaces–bedroom walls go to the ceilings, doors create privacy in the unit. Some examples of condos in the Minneaapolis real estate market include: The Carlyle, 5th Ave, Phoenix on the River and Grant Park. Navigating through this maze of options can be tough–and there are benefits to both types of product out there. At the end of the day it is critical to have an agent that can articulate the value of each as well as give you insight on the good, the bad, and the ugly when it comes to the realities of Minneapolis downtown real estate. Give Ben Ganje a call at 612.460.5638 or email him at ben@yoururbanlife.com today for a market update or to schedule a tour! In the Minneapolis condo market it’s rare to find 3 bedroom or larger units available with outdoor space equal to half the size of the interior space. Enter 521 7th St #704, Minneapolis MN 55415 which is for sale priced at $399,900. There are 3 bedrooms, a media room and a den with views of the Mill District and Downtown Minneapolis. The Wrapping around half of the unit is a rooftop terrace that is roughly 1000 square feet–the ultimate urban oasis to entertain guests with panoramic downtown views. For photos, listings, maps and details on the Sexton Lofts click here. An East Coast private equity group is scooping up distressed and bank-owned condominiums in bulk in the Twin Cities, saying it’s so confident in the area’s economy that it will roll out its own mortgage program to make loans to qualified borrowers wanting to buy. Point Capital Partners, based in Chatham, N.J., said it’s sinking about $70 million into four Twin Cities condo deals, two of which already have closed. In its most recent acquisition, Point Capital Partners bought the 77 remaining condos in the Sexton Lofts in downtown Minneapolis from owner Andy Chase. That deal closed March 24. Chase, president of Burnsville-based Chase Real Estate, bought 74 of Sexton’s unsold units — more than half the building’s 123 units — out of foreclosure one year ago for about $4.5 million. He then bought three more units, added a new heating system and has been finishing off the conversion of the old commercial building, including completing the Sexton’s nine rooftop penthouse units. The work should be done in two months. “We got a lot of stuff accomplished and now I think it’s time to go to the next level,” Chase said. Preston wouldn’t say what he paid for the Sexton units, but said “we paid a significant premium” over the $4.5 million Chase paid. The sale marks a bold new chapter for the Sexton, which has been clouded by the mortgage-flipping scheme that surfaced there in recent years. The scandal produced multiple convictions. Brett Thielen, a first-time developer who tried to complete the project, is serving a 27-month sentence for helping orchestrate the swindle. The Sexton was Point Capital Partners’ second Twin Cities buy. On March 17, the private equity group bought the 90 unsold units at the Gramercy Club of Edina — another well-known project with a tortured past — from Beal Bank Nevada. Point Capital plans to convert the senior co-op into condos, he said. The group is scheduled to close next week on another bank-owned condo building in the Twin Cities, and has a fourth investment lined up, one that Preston called the largest. He declined to name the other two developments. Little has been written publicly about Point Capital Partners. But according to its website, it’s a family of merchant-banking companies founded in 2003 and its private equity unit makes alternative investments in areas such as energy, health care technology and distressed real estate. It is principally owned by two classmates from West Point, from which the firm takes its name, Preston said. Banks are generally unwilling to make mortgages for condos in buildings with heavy concentrations of units in foreclosure or that are sitting unsold or rented out, Preston said. The group aims to stabilize the troubled condo projects by providing financing so they can get the units sold at market rates. Preston said his group will start listing five to 10 of the Sexton units next week. Mary Bujold, head of real estate research firm Maxfield Research Inc. in Minneapolis, said Point Capital’s type of financing play isn’t unheard of, but it’s the first time she’s seen it in the Twin Cities during this boom-bust cycle. “Ultimately, I think it’s a smart move on their part,” she said. “It’s not really speculative as much as it’s kind of opportunistic.